Discover the history of the United States Marine Corps on this guided, 6-hour, private-group tour in Washington, DC. Visit relevant points of interest like the Marine Corps War Memorial, the Marine Barracks, Marine Corps Base Quantico, and the National Museum of the Marine Corps. Enjoy round-trip transportation and (if desired) lunch at the the Clubs at Quantico on this exclusive, personalized tour. Discover US Marine Corps culture on this exclusive and private guided tour. 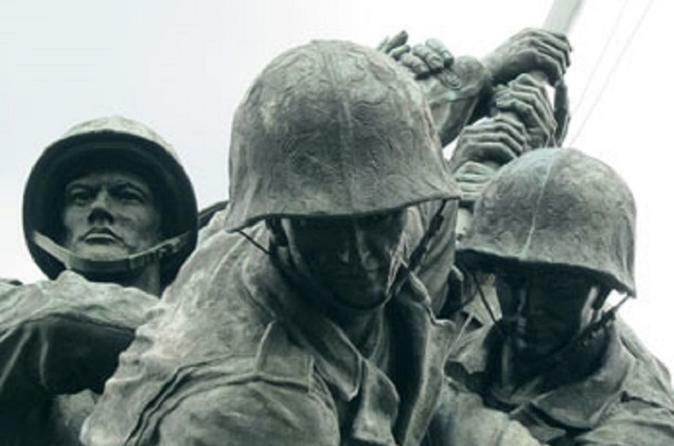 Begin this 6-hour adventure with transportation from a local DC hotel to the Marine Corps War Memorial. Join your Veteran tour guide and learn about the fascinating history of the US Marine Corps. Journey to the Marine Barracks and walk on the ceremonial grounds of this National Historic Landmark. Then visit multiple Marine Corps Base Quantico sites to continue the tour. Get the chance to interact with Marines in uniform while at the Museum of the United States Marine Corps, one of the top tourist attractions in Virginia. Also, enjoy a delicious lunch at the Clubs of Quantico. This tour includes travel time between sites and a tour of each location visited.